Now that NBC’s Hannibal has ended, making all our lives just ever-so-slightly less vibrant (and definitely less culinary-enhanced), it’s possible to stop and take stock of the iterations of Hannibal Lecter we’ve been treated to over the years. (Although, let’s all just pretend Hannibal Rising never happened, shall we?) 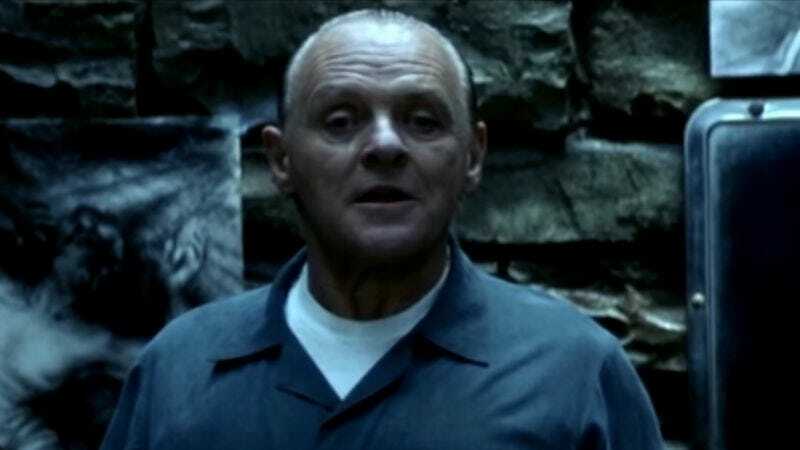 More specifically, we can take a look at a very particular section of the Lecter story: The events of Thomas Harris’ Red Dragon, which have now been adapted three different times, in Michael Mann’s Manhunter, Brett Ratner’s Red Dragon, and Bryan Fuller’s Hannibal. We recently compared these adaptations, but now, we’ve got a visual guide to compare one very specific scene—namely, the first time Will Graham visits Lecter in his cell. Video editor Matthew Morettini has put together a supercut that fuses the three different versions of this scene together, in a near-seamless cut-and-paste of the competing takes. Thanks to all three versions essentially borrowing much of Harris’ original dialogue, merely rephrasing or tweaking it here and there, it was possible for Morettini to put together a version of the scenes that travels smoothly from one iteration to the next. It offers a chance for fans to see the different stylistic choices made by each project, from the actors’ performances, to the camerawork, to the lighting design. It’s fascinating to see the transition from Mann’s sterile prison cell to Fuller’s lush, darkness-saturated palette. As for Ratner’s take—well, he sure did keep the camera on his actors, didn’t he? Well done, Ratner.